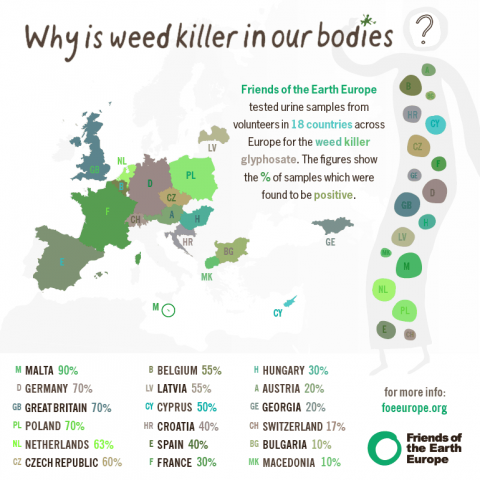 “Most people will be worried to discover they may have weed killer in their bodies. We tested people living in cities in 18 countries and found traces in every country. These results suggest we are being exposed to glyphosate in our everyday lives, yet we don’t know where it is coming from, how widespread it is in the environment, or what it is doing to our health.